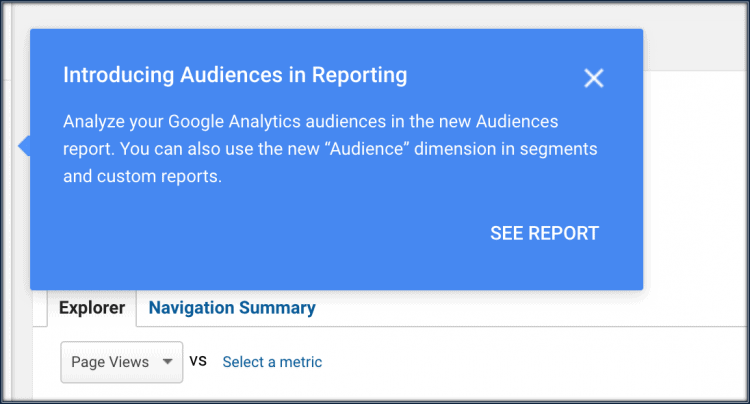 Google is introducing a new report in Google Analytics which evaluates a website’s custom audiences. There is no official announcement, though Google is notifying users upon logging into Analytics. After clicking on ‘SEE REPORT’, it will take you to the report. It also generates another notification with links to ‘LEARN MORE’ about it. 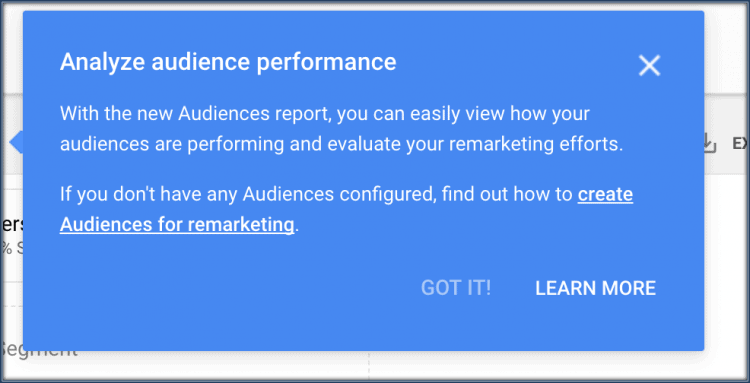 You directly accessed manually by opening ‘Reports’, expanding the ‘AUDIENCE’ tab and clicking on ‘Audiences’. It’s visibly marked as ‘NEW’. 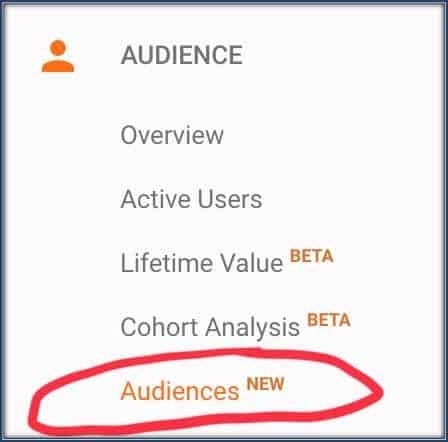 The Acquisition metrics allow you to know the volume of users an audience is sending you and how well the audience works to get your potential new business. The Behavior metrics allow you to know how well your site engages users based on bounce rate, pages per session, and time on site. The Conversions metrics allow you to know whether users are completing transactions and goals and generating revenue at the rate you want.